Remember to measure your pet for the paw-fect fit. Your ruff rider will be ready to roll out in style with the Doggie Design Biker Dawg Motorcycle Dog Jacket. This tough-looking retro coat is made of high-quality faux leather with a real embroidered ‘Biker Dawg’ patch on the back for an authentic look and feel. Silver rivets on the sides and waist strap add even more detail to this thoughtfully designed jacket that also includes a sewn-in D-ring so you can even use it as a light-duty harness. fuzzy fastener closures on the neck and chest provide a snug, comfortable fit whether your precious pup actually rides along on your steel horse or just wants to look the part. The jacket doubles as a light-duty harness thanks to the sewn-in D-ring attached to the back. Convenient fuzzy fastener closure straps on the neck and chest provide a snug, comfortable fit that’s easy to get on and off. Available in seven sizes to fit ruff riders of all shapes and sizes. Cool, tough-looking jacket is made of high-quality faux leather and features a vintage cut and style. The large embroidered ‘Biker Dawg’ patch and silver rivet details give it an authentic look and feel. Spot clean and line dry. I saw this and thought it was too cute. In person it looks so good and fits her well. 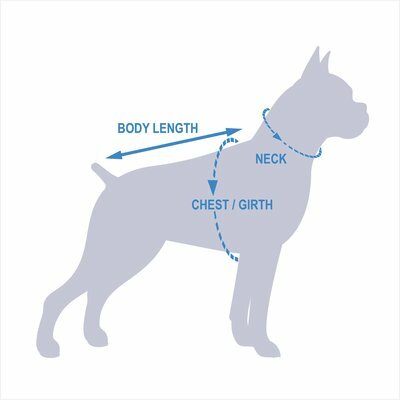 I did size up because I had a feeling it ran small and I don't like jackets too tight on my dog. She usually wears a medium but I bought a large and it fit very well. This leather jacket made my 2.5lb Chihuahua the hit of the party. She wears it riding on our Harley Davidson. Well worth the money! This motorcycle jacket fits our bulldog exactly. He's 85 lbs. and XL worked great. Since he's an OEBD, he's a bit taller than an EBD but not as round. He looks so cute. He can't wait for this fall when dog nite comes back to downtown Ft. Myers, FL. He'll be strutting with his new jacket on for sure. This was a cute vest for my dog. I should have gone a size bigger but it still fits based on the size chart. My dog liked it but it does make him feel hot if it's on too long and the outside temps are above 75*. Overall I do recommend it. It's a really cute biker vest. Little snug around the middle but my dog is a little chubby lol. Hes a labradoodle german shepherd mix. I bought the largest size. fake leather but a ok lite weight coat. I have not used yet so can't really say anymore about it other than the fit was fine.